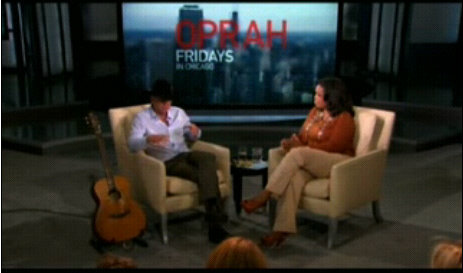 Kenny Chesney was on the Oprah show Friday and unfortunately for him, Oprah is extremely good at what she does. So in typical Oprah style, she started digging deep on the country music star and started asking about why his marriage to Renee Zellweger lasted a mere 4 months. So, Oprah asked, where was his marriage to Renee? Well, at least Kenny Chesney is honest. And it sounds like there is just a bit too much selfishness inside the good ol’ boy to really settle down with anyone for a successful marriage. Not that I’m judging Kenny Chesney or anything – but you cannot live in a “this is my box and everything in it is mine” mentality and expect a marriage to work. Thus, Kenny Chesney’s marriage lasted a whoping 4 months!